By analysing available evidence from randomised controlled trials (RCTs), we aimed to examine whether and to what extent sodium–glucose cotransporter 2 (SGLT2) inhibitors affect serum electrolyte levels in type 2 diabetes patients. We searched PubMed, EMBASE, Cochrane Central Register of Controlled Trials (CENTRAL) and ClinicalTrials.gov up to 24 May 2016 for published RCTs of SGLT2 inhibitors that reported changes in serum electrolyte levels. Weighted mean differences (WMD) between each SGLT2 inhibitor and placebo were calculated using a random-effects model. Dose-dependent relationships for each SGLT2 inhibitor were evaluated using meta-regression analysis. Eighteen eligible RCTs, including 15,309 patients and four SGLT2 inhibitors (canagliflozin, dapagliflozin, empagliflozin and ipragliflozin) were evaluated. In patients without chronic kidney disease, each SGLT2 inhibitor significantly increased serum magnesium levels compared with placebo (canagliflozin: WMD 0.06 mmol/l for 100 mg and 0.09 mmol/l for 300 mg; dapagliflozin: WMD 0.1 mmol/l for 10 mg; empagliflozin: WMD 0.04 mmol/l for 10 mg and 0.07 mmol/l for 25 mg; and ipragliflozin: WMD 0.05 mmol/l for 50 mg). Canagliflozin increased serum magnesium in a linear dose-dependent manner (p = 0.10). Serum phosphate was significantly increased by dapagliflozin. Serum sodium appeared to significantly differ by SGLT2 inhibitor type. No significant changes in serum calcium and potassium were observed. Findings were robust after including trials involving patients with chronic kidney disease. 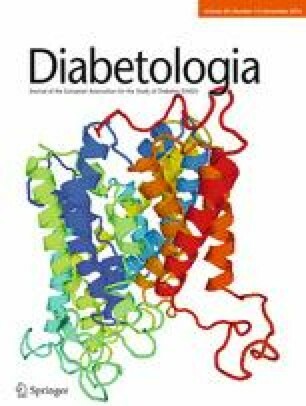 SGLT2 inhibitors marginally increased serum magnesium levels in type 2 diabetes patients indicating a drug class effect. Further investigations are required to examine the clinical significance of elevated magnesium levels in individuals with type 2 diabetes. The online version of this article (doi: 10.1007/s00125-016-4101-6) contains peer-reviewed but unedited supplementary material, which is available to authorised users. Electrolyte abnormalities, usually as a result of renal impairment, can lead to serious complications and even death. Sodium–glucose cotransporter 2 (SGLT2) inhibitors are a novel class of glucose-lowering agents that are indicated for the treatment of type 2 diabetes. SGLT2 inhibitors selectively inhibit renal glucose reabsorption and increase urinary glucose excretion (UGE) . As a consequence of increased UGE, treatment with SGLT2 inhibitors may result in osmotic diuresis, which may trigger volume depletion and dehydration . However, data on the influence of such haemodynamic changes on renal electrolyte handling in individuals with type 2 diabetes is lacking. We conducted a meta-analysis of the available evidence from randomised controlled trials (RCTs) to examine whether and to what extent SGLT2 inhibitors affect serum electrolyte levels in patients with type 2 diabetes. We searched the PubMed, EMBASE, Cochrane Central Register of Controlled Trials (CENTRAL) and ClinicalTrials.gov databases up to 24 May 2016 to identify eligible RCTs using relevant search terms without restrictions on language and year of publication (see ESM Table 1 for a complete list of search terms). We included parallel-design RCTs of at least 24 weeks duration that compared SGLT2 inhibitors to placebo in adults with type 2 diabetes and reported mean (percentage) change from baseline in electrolyte levels for each group or data that enabled calculation of these variables. Our primary outcome was mean (percentage) change from baseline in serum magnesium level, and our secondary outcomes included mean (percentage) change from baseline in serum sodium, phosphate, potassium and calcium levels. We collected the following information from each eligible RCT: first author and publication year, study characteristics (country of origin, design and funding), patient characteristics (inclusion criteria, background treatments, mean age, pre-existing chronic kidney disease [CKD], race, baseline HbA1c, mean eGFR and BMI), interventions (SGLT2 inhibitor type and dose), mean electrolyte levels, variance measure and the number of participants in the treatment and placebo arms for all reported periods. Mean (SD) change from baseline in mmol/l was extracted for each SGLT2 inhibitor, with the exception of canagliflozin, for which data were presented as mean (SD) percentage change from baseline in the original article. The Cochrane risk of bias tool was used to assess the quality of the RCTs based on five domains: random sequence generation (selection bias), allocation concealment (selection bias), blinding (performance bias and detection bias), incomplete outcome data (attrition bias) and selective reporting (reporting bias). Two reviewers (H. Tang and X. Zhang) independently extracted the data and assessed the quality of each RCT. Any disagreements were resolved by consensus or referral to a third reviewer (Y. Song). Weighted mean differences (WMD) (95% CI) in serum electrolyte levels were calculated for each SGLT2 inhibitor and placebo using a random-effects model to evaluate each SGLT2 inhibitor separately and by dose. Heterogeneity was quantified using I 2, with an I 2 of 25, 50 and 75 indicating low, medium and high heterogeneity, respectively. A meta-regression analysis was employed to investigate any possible dose-dependent relationships between each SGLT2 inhibitor and changes in serum electrolyte levels . The main meta-analysis was performed in patients without CKD. An additional sensitivity analysis was performed to include the RCTs that involved individuals with CKD. Publication bias was assessed using Begg’s test. All statistical analyses were performed with STATA (version 14; StataCorp, College Station, TX, USA). Of 1874 articles screened, 18 trials met the eligibility criteria (ESM Fig. 1), totalling 15,309 unique participants [4, 5, 6, 7, 8, 9, 10, 11, 12, 13, 14, 15, 16, 17, 18, 19, 20, 21]. Four SGLT2 inhibitors (canagliflozin, dapagliflozin, empagliflozin and ipragliflozin) were evaluated. The duration of interventions ranged from 24 to 260 weeks (mean duration: 70 weeks). Participants were generally middle-aged (mean age: 58), white (14/18 studies) and without CKD (16/18 studies) (ESM Table 2). Baseline electrolyte levels were within normal reference ranges for all studies (ESM Table 3). Most of the trials included in the meta-analysis were judged to have a low risk of bias, except for one trial that had a high risk of bias due to the lack of blinding  (ESM Fig. 2). For patients receiving canagliflozin, serum magnesium levels were significantly increased compared with those receiving placebo (100 mg: WMD 8.03% [95% CI 6.89, 9.16]; 300 mg: WMD 11.06% [95% CI 9.92, 12.19]) (Fig. 1a). Canagliflozin increased serum magnesium in a dose-dependent manner (for linear trend p = 0.10). Serum magnesium levels were also significantly increased relative to placebo in participants receiving empagliflozin (10 mg: WMD 0.04 mmol/l [95% CI 0.02, 0.07]; 25 mg: WMD 0.07 mmol/l [95% CI 0.04, 0.09]) and ipragliflozin (50 mg: WMD 0.05 mmol/l [95% CI 0.03, 0.08]). Of the participants receiving dapagliflozin, only those in the 10 mg group had significantly increased serum magnesium levels relative to placebo (WMD 0.10 mmol/l [95% CI 0.01, 0.19]). An additional sensitivity analysis that included two trials that involved patients with CKD showed that the results of the analysis were robust (data not shown). Statistically significant between-study heterogeneity was evident for the dapagliflozin and empagliflozin RCTs (I 2 > 75%), but not for the canagliflozin RCTs (I 2 = 0%). There was no evidence of publication bias for serum magnesium in this meta-analysis (p > 0.05). Serum phosphate levels were significantly increased compared with placebo for dapagliflozin 5 mg (WMD 0.04 mmol/l [95% CI 0.01, 0.06]) and 10 mg (WMD 0.05 mmol/l [95% CI 0.02, 0.09]) (Table 1 and ESM Fig. 3). Serum sodium levels were significantly higher with empagliflozin 25 mg relative to placebo (WMD 0.31 mmol/l [95% CI 0.04, 0.58]). However, serum sodium levels were reduced with canagliflozin 300 mg (WMD −0.36 mmol/l [95% CI −0.68, −0.05]) (Table 1 and ESM Fig. 4). No significant changes in serum calcium and potassium levels were observed among the participants receiving SGLT2 inhibitors (Table 1, ESM Figs 5, 6). A dose-dependent relationship between the SGLT2 inhibitors and electrolyte levels was not observed. When the trials involving participants with CKD were included in the analysis, all of the results were similar (data not shown), with one exception. The mean change from baseline in serum sodium level with empagliflozin 10 mg was significantly different from placebo (WMD 0.26 mmol/l [95% CI 0.03, 0.49]). Heterogeneity was variable across SGLT2 type, dose and electrolyte level (Table 1). Our meta-analysis of 18 RCTs involving 15,309 patients provides the first robust evidence that SGLT2 inhibitors significantly increase serum magnesium levels in patients with type 2 diabetes. On average, serum magnesium levels were raised by 0.06 mmol/l for canagliflozin 100 mg, 0.09 mmol/l for canagliflozin 300 mg, 0.1 mmol/l for dapagliflozin 10 mg, 0.04 mmol/l for empagliflozin 10 mg, 0.07 mmol/l for empagliflozin 25 mg and 0.05 mmol/l for ipragliflozin 50 mg. Taken together, these results indicate that there is a drug class effect on serum magnesium levels. Furthermore, effects on serum phosphate and sodium levels differ by SGLT2 inhibitor type and dose. However, no significant effects on serum calcium and potassium levels were observed. Given that SGLT2 inhibitors induce glucosuria and osmotic diuresis, which may trigger volume depletion and dehydration, we hypothesised that changes in circulating electrolyte levels might occur with the use of such medications. The significant elevations in serum magnesium levels, and the possibility of increased phosphate levels, might be the result of osmotic diuresis caused by SGLT2 inhibitors, but the precise mechanisms involved are unknown. Abnormally high magnesium levels are predictive of total mortality in individuals with heart failure , those who are critically ill  and those receiving haemodialysis . Therefore, caution must be exercised in patients with impaired renal function, such as in severe CKD. On the other hand, both in the general population and in people with type 2 diabetes, a gradient of risk for cardiovascular disease has been observed across the normal range of serum magnesium , with concentrations at the higher end of the normal range associated with a lower risk of cardiovascular events . Our meta-analysis found that a mean increase of 0.05 mmol/l in serum magnesium was significantly associated with a reduction in systolic BP by 2.00 mmHg and diastolic BP by 1.78 mmHg compared with placebo . If serum magnesium is causally related to cardiovascular risk, a modest increase in serum magnesium could have contributed to a reduction in cardiovascular mortality observed among participants with type 2 diabetes in the EMPA-REG OUTCOME trial . However, the observed changes in serum magnesium levels were, on average, within the physiological range. We do not know what proportion of individuals have serum magnesium levels above the normal range, and therefore, the clinical significance/interpretation of these data is uncertain. Changes in serum phosphate were also observed for dapagliflozin with a mean increase of 0.04 mmol/l and 0.05 mmol/l for 5 mg and 10 mg, respectively. Increased serum phosphate may have adverse effects on bone health by increasing secretion of the parathyroid hormone, which enhances bone resorption and increases the risk of bone fractures . Although one study demonstrated that canagliflozin was associated with a decrease in bone mineral density at total hip in individuals with type 2 diabetes , the effects of SGLT2 inhibitors on bone health are still uncertain. It is interesting to find that serum sodium levels appear to differ by SGLT2 inhibitor type with a mean reduction of 0.36 mmol/l for canagliflozin 300 mg and a mean increase of 0.31 mmol/l for empagliflozin 25 mg. However, the clinical significance of a small change in serum sodium level <0.5 mmol/l is still unclear. Some limitations of our meta-analysis, which may reduce the strength of the evidence, merit discussion (e.g. the low number of participants included for each SGLT2 inhibitor and statistically significant between-study heterogeneity). Furthermore, we were unable to calculate the proportion of individuals who have abnormal electrolyte levels as a result of receiving SGLT2 inhibitor treatment because of limited information in the trial reports. In summary, SGLT2 inhibitors marginally increase serum magnesium levels in individuals with type 2 diabetes. Dapagliflozin also increased serum phosphate levels, and serum sodium levels appeared to differ between empagliflozin and canagliflozin. Further investigations are required to examine the clinical significance of changes in serum magnesium, phosphate and sodium caused by SGLT2 inhibitors in patients with type 2 diabetes, especially in individuals with chronic comorbid diseases. HT and YS designed the study. HT and XZ identified and acquired reports of trials and extracted the data. HT and XZ performed all data analyses, checked for statistical inconsistency and interpreted the data. HT, XZ, JZ, YL, LDG, SZ and YS contributed to data interpretation. HT drafted the report and all other authors (XZ, JZ, YL, SZ, LDG and YS) critically reviewed the report. HT, XZ, JZ, YL, LDG, SZ and YS approved the final manuscript. YS is responsible for the integrity of the work as a whole.